The bright golden-yellow summer colour of this variety helps it stand out in a crowd. 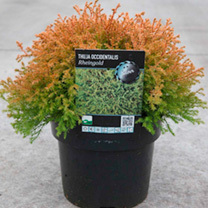 In spring the new growth is tipped in orange making it look even brighter and in winter a more bronze colour develops. Rheingold develops into a tight rounded shrub allowing the plant to look good in many different areas, such as a mixed border, conifer or heather border or even in a rock garden. Height 90-100cm. Supplied in a 5-7.5 litre pot. The bright golden-yellow summer colour of this variety helps it stand out in a crowd. 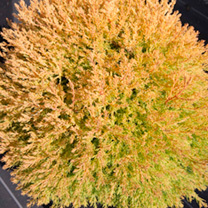 In spring the new growth is tipped in orange making it look even brighter and in winter a more bronze colour develops. 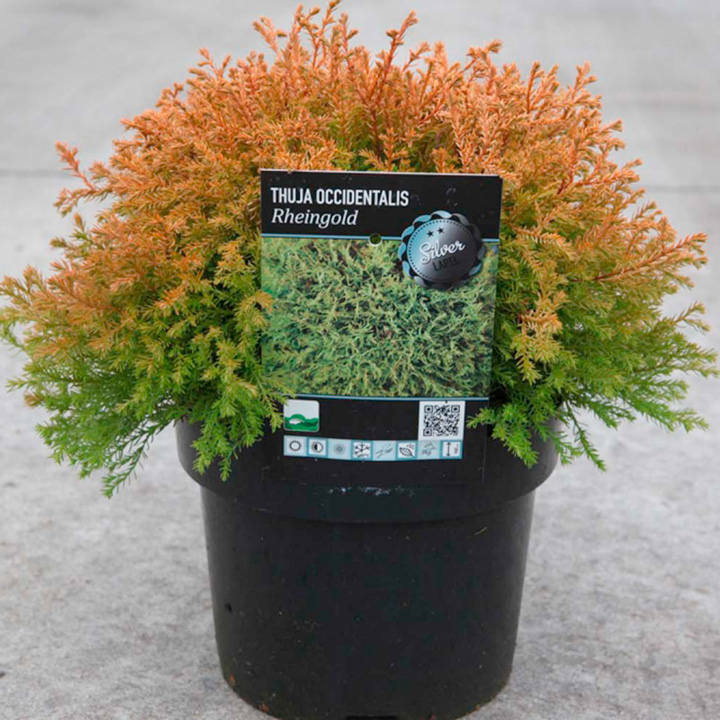 Rheingold develops into a tight rounded shrub allowing the plant to look good in many different areas, such as a mixed border, conifer or heather border or even in a rock garden. Height 90-100cm. Supplied in a 3 litre pot or 5-7.5 litre pot.